What is the first thing that you think of when you hear the word “financial advisor”? You many think of a scene that you’ve seen in a movie of a wealthy man wearing a designer suit meeting with his financial advisor to go over his assets that amount to millions or billions of dollars—an amount that you’d love to have pad your accounts, but feel may never be your reality in Arden. A financial advisor may remind you of concepts such as annuities, life insurance, or other financial terms that you feel like you’ll never understand or need. Maybe you think of a financial advisor as a dishonest person that profits off of your hard earned dollars and is in it for themselves. We at Successful Financial Strategies in Arden have heard it all, but we are here to help you better understand what we do and how we can guide you towards protecting your assets and increasing your income. Bottomline: We want to help you have prosperity and peace of mind. Ready to Make a Strategy For Prosperity? Want to Learn More About Financial Planning & Strategies? What rate of return do you have to earn on your savings and investment dollars to be able to retire and have your money last? How much do you need to save on a monthly/annual basis to be able to retire and have your money last? How long will you have to work in order to be able to retire and maintain your current lifestyle? If you don’t do anything different than what you are doing today, how much will you have to reduce your standard of living at retirement in order to make your money last? If you are not sure how to answer these important questions, it is time to consider speaking with a financial advisor. As our mission statement says, the financial advisors of Successful Financial Strategies in Arden want to help our clients better understand where their money is going, and how to use their money, financial strategies, and other financial products to help them get to where they want to be financially. Just as you go to a doctor to discover the cause of physical discomfort or to give you a good bill of health—because they are the expert in their field—so it is when you see a financial advisor; they are the experts, the proverbial doctors of the financial world. Many people “wing it” with their financials, simply hoping for the best or they simply keep doing what they have always done. First of all, your monetary situation, like your health, determines everything—why leave it up to chance and hope for the best? Secondly, shouldn’t the most important aspects of your life like your health and money have clear strategies and continuous attention? It may be safe to say that many pay more attention to their health than their financials: both need time, attention, and thoughtful strategy to provide you the best quality of life. There are many that tout that they can provide you financial strategies that will revolutionize your life and financial status. Some offer one-size fits all solutions. Others advertise quick fixes. The solutions and strategies that other financial firms or personalities may work, but from what we have seen, one size doesn't fit all and quick fixes are “Band-Aids” that don’t fix the overall problem. Benefits of working with Successful Financial Strategies’ financial advisors is that we use holistic planning and we believe in using strategic processes to ascertain your current financial situation and to implement thoughtful strategies. We do not receive commission on products sold for advisory services, but instead we have an advisory fee for our services based on the amount of money that we are managing. A fiduciary is a professional entrusted with making recommendations on or the management of a Client’s assets. All investment advisory decisions or recommendations made by a fiduciary on behalf of a client must be made solely in the best interests of the client. As our name suggests, our financial advisors believe in implementing effective and thoughtful financial strategies for the purpose of guiding our clients in Arden towards prosperity and peace of mind. Being financially successful is about understanding the whole picture of your financials, knowing your goals, devising a plan, and adjusting that plan as needed. This process is what we use for each client as well as our own personal financials. Read more about our process below. During your first few meetings with our financial advisors, we will be gathering information. We will be getting to know your entire financial situation, from your major financial products that you own, such as your life insurance policies, to your monthly spending habits. Before we make any recommendations, we will get to know you and your goals. For us, part of being a sincere and excellent financial advisor is accomplished by getting to know our clients and their hopes and dreams for their life. After we’ve gotten to know you and have a clear view of the whole picture of your financials, we will begin to develop a plan and will make professional recommendations. Though there may be adjustments that might give positive results overnight, in most, if not all cases, the journey towards your financial goals is a methodical strategy that will take time for you to reap its full effects. Often, there may be multiple steps to complete. When our financial advisors create strategies for our clients, we not only think about your short term goals and your threshold for risk, but also the long-term effects of our strategies. The next step of our financial plan is the implementation of the strategy. Depending on your financial plan and your goals, there is action that will be needed to be taken on both your and your financial advisor’s parts. We believe the difference in those who want financial prosperity and those who achieve it, is the doing—the implementation of their strategy that takes place everyday such as making budgetary changes and investing. Using the doctor example again, you will not get well until you take the medicine prescribed and make daily changes to your lifestyle. A viable financial strategy is one that evolves with your needs, the economy, and your success. Part of what our financial advisors do is to monitor how your strategy is working, as well seek as your feedback. Often the strategies that we implement for our clients will need some adjustment, not because the original plan isn’t working, but because a successful strategy is one that grows and evolves with you. As we stated above, a healthy and advantageous financial strategy is created through a thoughtful process, and our financial advisors want to help you create one that will work for you now and take you closer to your goals. As our name suggests, our fiduciary financial advisors believe in implementing effective and thoughtful financial strategies for the purpose of guiding our clients in Arden towards prosperity and peace of mind. Being financially successful is about understanding the whole picture of your financials, knowing your goals, devising a plan, and adjusting that plan as needed. This process is what we use for each client as well as our own personal financials. Read more about our process below. Creating a financial plan involves looking at the entire picture—a holistic approach. Every part of your financial situation and every asset makes a difference in your financial well-being. When you contact our financial advisors, we invest time in getting to know you, your assets, the strengths and weaknesses or disadvantages in your current situation, and your goals. The financial advisors of Successful Financial Strategies will thoughtfully consider each aspect of your financial situation. They will consider the following aspects of your financials. Explore the available interest rates for your specific annuity. Understand the design and distribution amounts you may choose to receive for the rest of your life or for a specific period of time. Review that your beneficiaries are established per your desire. To learn more about annuities, visit our website. *Any comments regarding safe and secure investments and guaranteed income streams refer only to fixed insurance products offered by Successful Financial Strategies. They do not refer in any way to securities or investment advisory products. Fixed insurance and annuity product guarantees are subject to the claims paying ability of the issuing company and are not offered or guaranteed by AlphaStar. As we have been discussing, a financial advisor is a critical part of the financial planning process. Financial planning is simply looking at the big picture of your financials, determining goals, and implementing a strategy. Though our clients are the most familiar with their financials, we feel that opportunities are often missed because our clients are “too close” or too familiar with their situation. A financial advisor will be able to see the whole picture and make recommendations that are rooted firmly in their experience and expertise. Here are the general areas of your financials that we will review when working with you to create a viable financial plan. To learn more about financial planning with Successful Financial Strategies and schedule a free consultation, visit our website. Whether you understand your life insurance policy or you are looking to buy one, our financial advisors will guide you towards prosperity and peace of mind. Learn more about life insurance planning with us on our website and our insurance services here. Each part of your financials needs to be reviewed and used strategically. 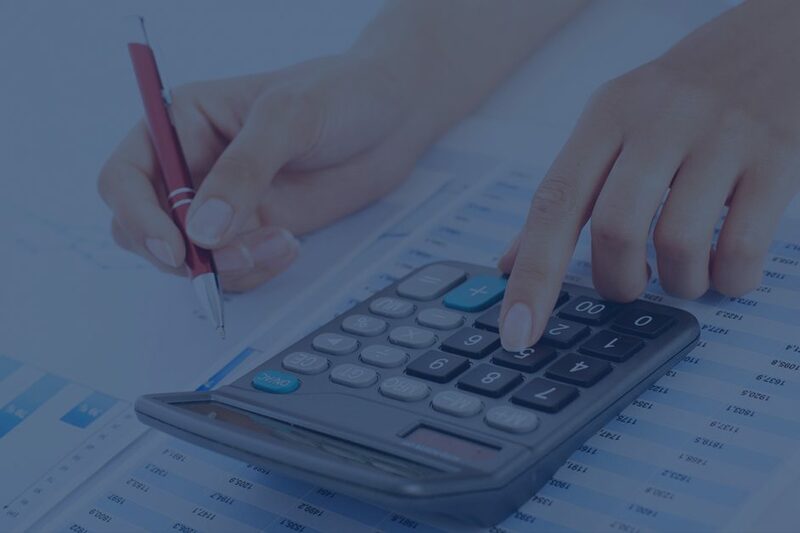 Our financial advisors find that many of our clients in Arden are losing out on money and thus aren’t completely protecting their assets due to the misappropriation of their funds when paying taxes. In other words, you may be paying too much or paying taxes on your assets at the least opportune time. Our financial advisors can help you plug all the holes in your proverbial asset bucket by utilizing tax planning methods. To learn more about tax planning and get a complimentary consultation with one of our Arden office financial advisors, visit our website. If you don’t consider yourself wealthy, you may feel that you have no use for wealth management. However, this isn’t the case. When you work with our financial advisors, there is no net-worth or income minimums that you must meet to receive our expertise. Also, as we discussed earlier, we are a financial firm, meaning that those recommendations we make will always be in the best interests of your financial goals. We believe investment advisors are needed to help formulate sound financial plans for investors and to provide an independent, disciplined portfolio management process. We provide multiple investment opportunities based on your financial objectives and risk tolerance. To learn more about the wealth management services our financial advisors can provide and schedule a complimentary consultation, visit our website. How will working affect my Social Security benefits? To learn more about how we can help you prepare to collect, get the most out of your Social Security, and have it work beneficially alongside your other investments, visit our website. Here, you will be able to learn more about our financial advisor’s services and sign up for a free consultation. The views of Successful Financial Strategies and does not necessarily represent the views of the Social Security Administration or AlphaStar Capital Management, LLC. Successful Financial Strategies is not affiliated in any way with the Social Security Administration. The financial advisors of Successful Financial Advisors want to help their clients in Arden better protect, grow, and utilize their assets so they can reach their financial goals for prosperity and peace of mind. To learn more about our financial advisors and our holistic approach to financial planning, visit our website! We offer complimentary consultations so you can learn more about us and the advice we can offer. You will be able to judge whether you would like to take full advantage of our services. Do you live in the Arden area? Meet with us at our offices. We can set up a phone meeting as well. Part of our mission is for our financial advisors to empower our clients with the knowledge to be successful. We do this by not only being resources ourselves but also by providing other means such as those mentioned below. Not sure what a certain financial term means or want to grow your vocabulary? Check out our glossary. Here we explain many important financial terms, products, and actions that may be important for you to know. Listen to Mike Blanton & Roger Webb host “Financially Speaking,” a radio show that is designed to provide you information on financial planning and other related topics. Listen to our show on the radio or online. We also blog regularly about financial related topics that we hope will inform you not only with practical knowledge that will influence your personal financial situation, but also those financial issues that affect the country and world at large. Read our blog here and view recent blog posts below.